Does your bride and groom love coffee and especially espresso? I know that so many couples enjoy the celebration and relaxation that comes with a fine tasting cup of coffee. Having a special Espresso Coffee Cup Set makes this special time to spend together, so much even better. 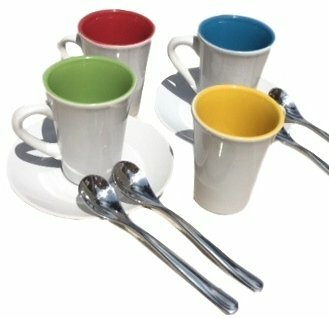 Don’t forget that espresso lovers like to serve their coffee treat in unique espresso cups that rise to the occasion! A beautiful set from Villeroy and Boch is my absolute favorite. 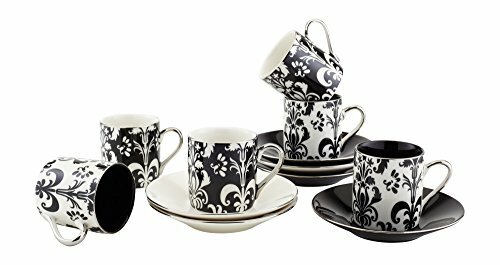 I love the contemporary look, the flow and artistic touch of this espresso coffee cups sets. Take a look at the snazzy cup handle and its modern wave which adds so much flair to this set. The curvy saucer has ample room for a sweet snack and how nice that a matching espresso spoon is included. So fancy and casually chic at the same time, right? The Villeroy and Boch Espresso Coffee Cup Set includes two cups, two saucer/plates and two spoons. The colors are bright and snazzy to go with most any decor. 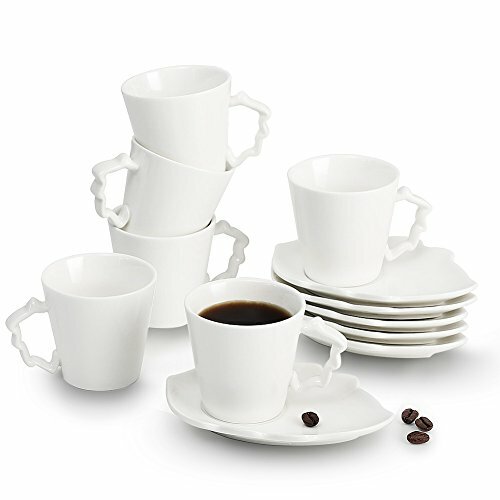 This beautiful espresso coffee cup set will have the bride and groom ready for company or to enjoy by themselves. 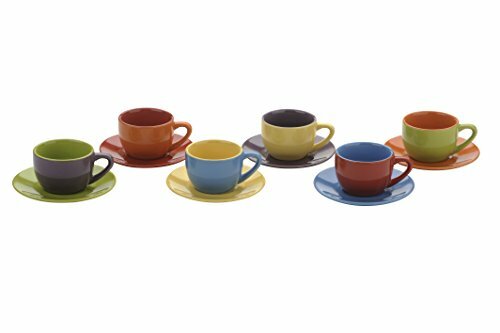 The set includes six colorful cups with matching saucers and each cup will hold 3.5 ounces of espresso. Includes a pretty gift box for easy wrapping and gift giving. Another coffee espresso set is also available in a unique and colorful stripe design. Choose either set from the same ordering page. My choice for a perfect and lovely coffee set made for enjoying espresso. Couples of all ages will love the modern whimsy of this young-at-heart espresso set. The design is super cool and how romantic that the cup designs were influenced by Italy’s Amalfi Coast. There are many other designs to choose from on the ordering page, but this one struck me as the most stylish. These espresso coffee cups sets really are pretty. 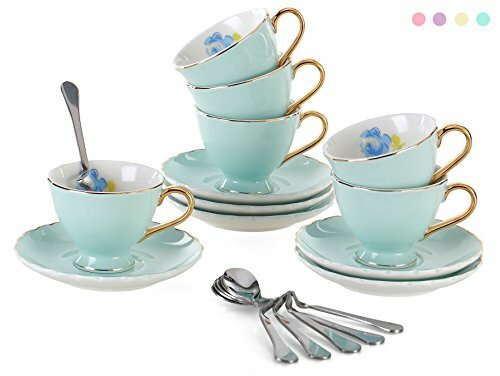 I love the unique design of the Villeroy & Boch set and I am quite drawn to the colorful appeal of the Cordon Bleu set. I like the idea of everyone getting to use their favorite color. Love the colorful ones! So cute! I love espresso! Have to have my lattes in the AM. It’s amazing the variety! This would be a good gift for upcoming wedding.